With initial Obamacare enrollment ending today, keeping healthcare cost-effective and people healthy are major challenges to its success. As highlighted in the Affordable Care Act, community health workers offer one of the more promising ways to keep costs down by improving health and the value of care. Community health workers help people improve their health, manage their illnesses, and obtain services in timely and appropriate ways. Community health workers are lay people with close ties to the communities they serve who readily win clients’ trust. Trained to have health knowledge and selected for “people skills,” they promote wellness and connect clients with medical and other services, especially disadvantaged clients. 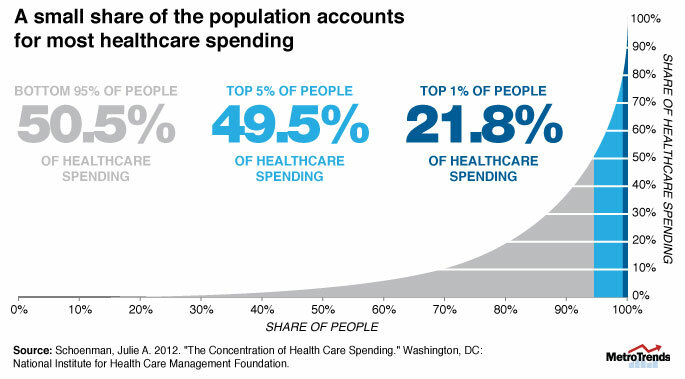 Health spending is top-heavy. The top 1 percent of people account for over 20 percent of spending, the top 5 for almost 50 percent, and the top 20 for almost 80 percent. Such high utilization typically reflects multiple health-related problems, including social, environmental, and behavioral issues. Chronic conditions like heart disease, diabetes, and obesity account for half to three quarters of spending and some 70 percent of deaths. Having multiple conditions is especially costly and dangerous. People’s own behavior is the key driver of such conditions. Patients often do not follow medically prescribed regimens—upwards of half the time for chronic-care drugs. Non-adherence is costly both for their health and for their insurers, too. About one fifth of Medicare patients discharged from hospitals are re-admitted within 30 days. Half of those re-admitted had no follow-up community care after they left the hospital. Community health workers can help high-spending Medicaid enrollees manage multiple problems and reduce medical insurance costs. Peer coaching by community health workers can improve a patient’s self-management of diabetes. High-risk HIV patients unable to follow their medical regimens do better and cost less when supported by community health workers. Community health workers can improve chronic-care management in targeted populations. A key strength of community health workers has long been coordinating access to medical and other services for fellow community members. As part of a caregiving team, community health workers can also improve communication between medical practices and their patients — in both directions — and help high-risk patients navigate referrals across practitioners. While there is mounting evidence of community health workers’ effectiveness, regular funding for their services is often lacking. Medicare and Medicaid do not typically pay for community health workers. Nor did the ACA provide much funding for community health workers. The evidence needs to be turned into business cases to help payers and providers better understand community health workers’ value.